COAST » State Street Redesign: A People-Centered Promenade! 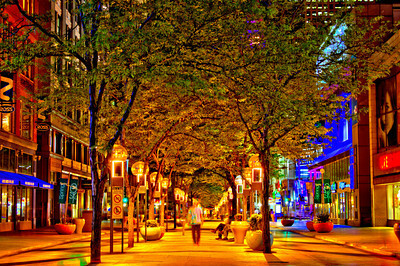 State Street Redesign: A People-Centered Promenade! NOW IS THE TIME! 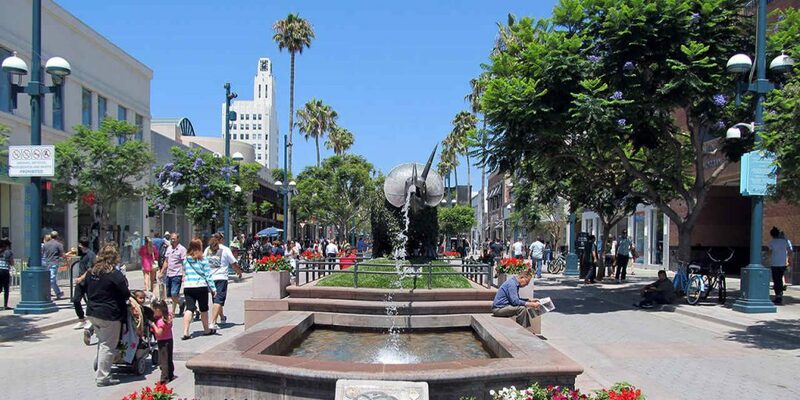 : COAST calls on our City leaders, business partners, community stakeholders and YOU to boldly imagine a stretch of State Street without motor vehicles* and opened up to PEOPLE…walking, strolling and rolling in a car-free promenade. A new, more sustainable, enjoyable and healthy way to experience our downtown corridor, free of the noise, exhaust and congestion of motor traffic. Imagine State Street where restaurants and shops could extend into the road for a more interactive experience, with performers, artists and musicians intermingling along the promenade. We need not imagine…this can be our State Street, and with the current community push to revitalize our retail strip, there’s no better time than now for a State Street Redesign! *The Downtown Waterfront Shuttles would still be allowed. Image thanks to SB MTD and artist Tom Stanley. Cities across the U.S. and the world have been doing this very successfully for years! LET’S BUILD THE MOMENTUM FOR A STATE STREET REDESIGN! Together with City officials, business owners, residents and visitors alike, we can move the discussion forward into actions to transform State Street for the better. More vibrant! More sustainable! More PEOPLE on State! Click HERE to request to be added to our State Street Redesign supporters list and get updates on campaign progress. THANKS FOR SUPPORTING YOUR COMMUNITY AND DOWNTOWN REVITALIZATION!